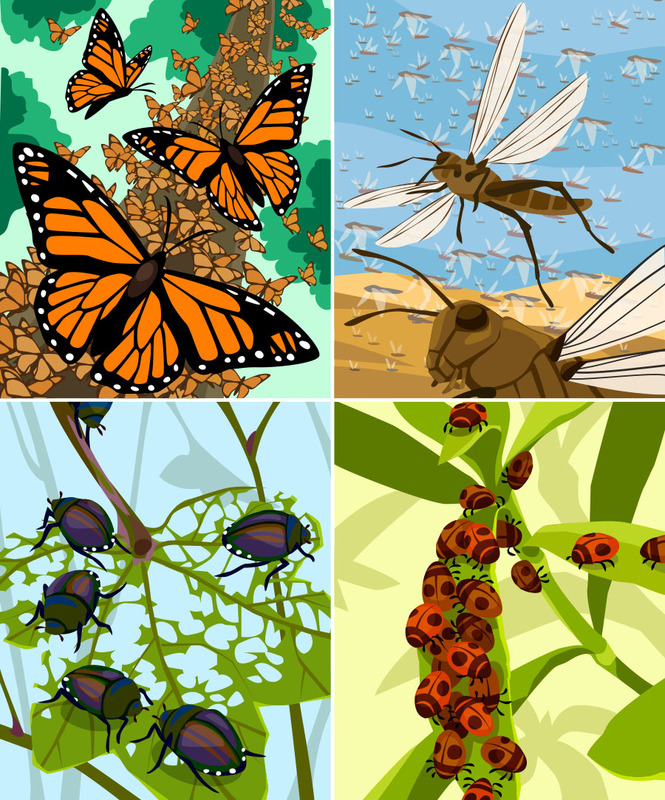 Four panel vector illustrations showing different types of aggregating insects for scientific manuscript. Work completed under Arizona State University's Visualization Lab. Four panel insect aggregation figure: (top left) monarch butterflies, (top right) locusts, (bottom left) Japanese beetles, (bottom right) ladybugs.